By opening four stores, two of his own and two of his brother Kenzo's, what did the world think of these prominent establishments named 'S. Shobey Silk-Store'? 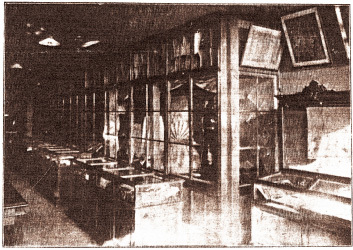 Mrs. Alice Mary Ray who came to Japan in December 1881 wrote about her round-the- world trip and mentioned specifically, '' 'Shobey's' is the great emporium for modern embroideries, where an unrivalled collection of screens, hanging pictures, quilts, dressing gowns, and every sort of nic-nac can be purchased at very moderate prices.'' (from 'Mrs. Ray's Round-The-World Diary', by Mrs. Hisako Ito. Published in a bulletin of the Yokohama Archives of History, 1990). If compared to contemporary times people would likely say that mainly silk products were in quaint boutiques. As recorded in the diaries of visitors to Japan, the craftmanship of Shobey's products were certainly memorable and considered worthy of being written about. His products came to be known in the West for their high quality but moderate prices.